MEGHAN MARKLE will “shake the cobwebbed corridors” of the Royal Palace thanks to the “stubborn” support of husband Harry, royal commentator Keir Simmons claimed. Meghan Markle was hailed as a breath of fresh air for the Royal Family when she became the first American to marry with a senior member of the Royal Family in May 2018. 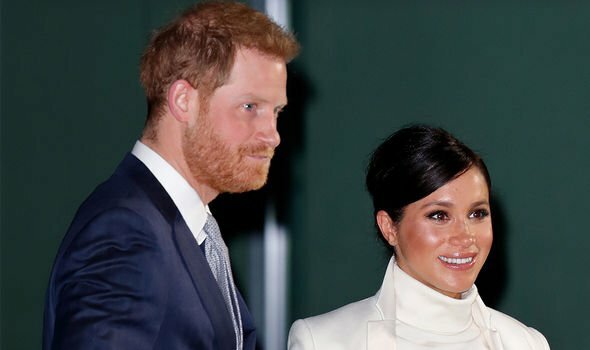 The Duchess of Sussex has however attracted the concerned attention of senior courtiers, concerned about how the new member of the Windsor family could affect the monarchy. Commentator Keir Simmons told Today: “I think she’s amazing. I don’t think she’s perfect. I think she is a very ambitious American woman who’ll be shaking the corridors – the cobwebbed corridors – of those Royal palaces. 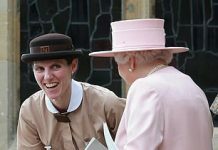 Several insiders have claimed Meghan has “ruffled feathers” among senior courtiers and had them “recoil” because of her outspoken approach to her royal role. But Mr Simmons suggested Prince Harry has been an ally to his wife as she settled into her position as Duchess of Sussex. Mr Simmons continued: “You marry into the Royal Family and then you just go to charity events and don’t talk too much. 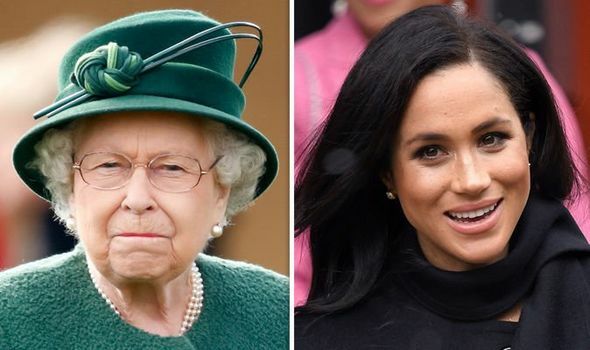 Ingrid Seward, one of the most prominent writers on the British Royal Family, warned last month senior staff had grown concerned with Meghan over fears her outspokenness could result in the Royal Family being criticised. Ms Seward said: “Some of the more old-fashioned courtiers recoil when they see some of the things that Meghan says. “It’s likely they feel they might get into trouble because she might be putting her feet into the political abyss. “The Royal Family don’t talk about politics because they don’t want to get criticised for that. But despite the alleged criticism toward Meghan, excitement is growing at the prospect of a new Royal Baby joining the family in a matter of days. 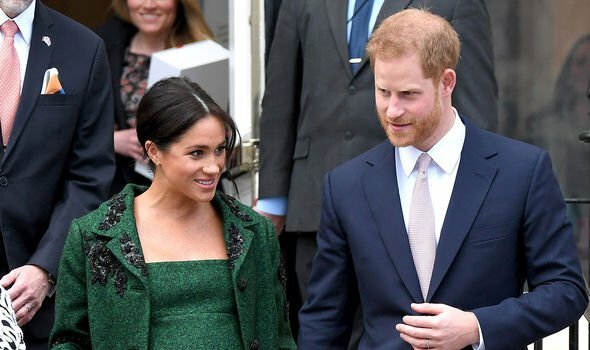 The Duke and Duchess of Sussex are expected to welcome their first born soon after the former American actress took a step away from tradition and revealed her due date was at the end of April, early May. To prepare for the upcoming arrival, the royal couple moved their headquarters from Kensington Palace in Central London to a cottage on the Windsor Estate, a reported wedding present from the Queen to her grandson. Little is known about the Royal Baby but it is believed Meghan will forego the long journey back to London’s Lindo Wing to deliver in local Berkshire hospital, putting an end to a long tradition of first baby pictures in front of the renown Paddington hospital. 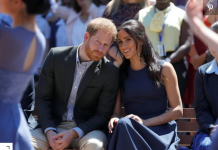 Meghan and Harry have taken steps to increase their privacy in recent months after an initial flurry of media attention caused Harry to worry about Meghan’s safety when they started dating.